Your preschoolers will love this cute Ballet Lesson! Little ones will be working to discover a bigger picture as they develop many different motor skills, problem solving, hand-eye coordination, shape recognition, memory and task completion. This puzzle is designed specifically for little hands, featuring engaging designs, and high quality, kid-proof construction. Puzzles measures 11.5" x 8.25" and is recommended for ages 4 and up. 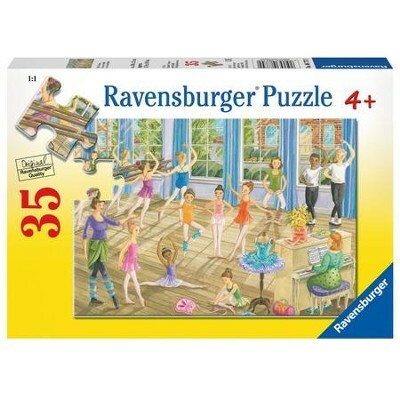 I'm the author/artist and I want to review Ballet Lesson, 35 Piece Puzzle.